The founder and leader of All People’s Congress (ACP) Dr. Hassan Ayariga has accused the President Nana Addo Danquah Akufo Addo of giving the directive for his vigilante boys to carried out the brutality in the Ayawaso West Wuogon by-election. According to Dr. Ayariga, the President as the chairman of the National Security Council cannot be innocent in the actions taken by the fake security operatives drove in police vehicles. The APC leader who was addressing the media in Accra earlier today called for the immediate arrest of the individuals involved in the last Thursday’s brutality for prosecution. He laid blame for the massive recruitment of party’s vigilante group and thugs into various security agencies by the current government put the nation’s peace in danger. Mr. Ayariga slammed the President for using one of the thugs as his personal security officer instead of the state security. “The immediate security men around the president are all not policemen nor military men, the evidence is there to show and no one can question the legality of the so-called security men protecting the president”, he added. He stated further that “The security agencies are engulfed with party’s vigilantes and thugs of favourite political parties; our national security is a disaster and can’t deliver any intelligent information for the nation”. 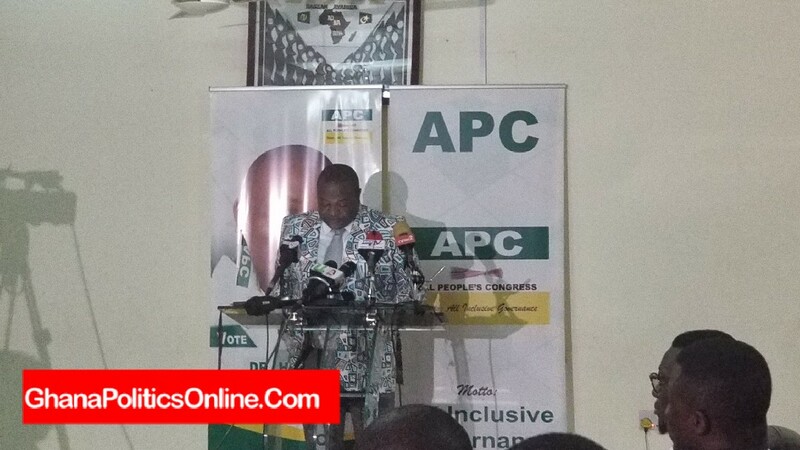 Dr. Ayariga expressed his dissatisfaction at the NPP government for deploying illegal group called counter terrorism unit to monitor and observe election with AK47 riffles. He observed that since the assumption of power by the Nana Akufo Addo led NPP, Ghana has become unsafe to live and do businesses. He pointed out that the past two years saw Ghanaians lived in fear and panic with government doing nothing to tackle the rampant kidnapping, armed robberies and serial killings across the country.